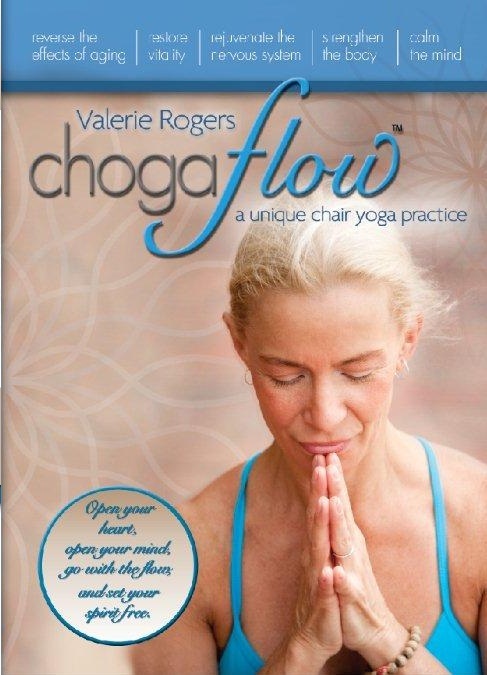 Valerie Rogers is the creator of Chogaflow, a unique chair yoga practice, done both seated and standing, integrating breath with movement. Chogaflow is ideal if you are new to practicing yoga, if physical limitations prevent you from getting up and down from the floor easily, if you are recovering from injury or illness, or if you prefer a less strenuous class. Chogaflow emphasizes alignment, allowing you to explore poses in an anatomically correct way. You will enjoy the many benefits of a traditional yoga practice without ever having your knees touch the floor. If you are looking for an exercise DVD that will help you gradually get into shape or stay in shape during an injury, then you have got to try this Chogaflow DVD where you do yoga from a chair! It is easy on your body or great for someone that must take it easy while recovering from an injury! You still get the great benefits of yoga but without any of the risks of other exercise programs or exercises! Buy It: You can purchase Chogaflow DVD for $19.95 on the Chogaflow website.